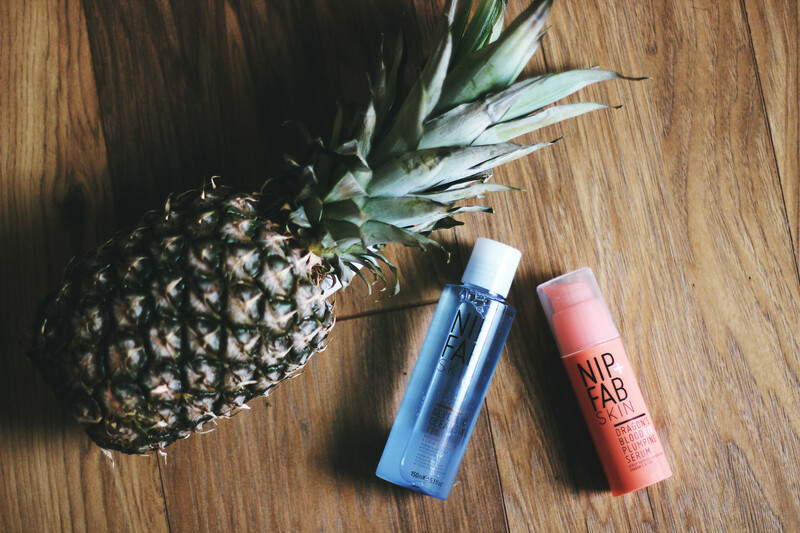 Have any of you ever tried Nip&Fab products? I used to have a Bee sting face mask but apart from that never tried anything else from the brand and recently I got sent a few bits to try. And guess what? I've been loving them! This time I'm talking about the face products. Basically, I am not one of those people who go through 5 different procedures on their face every night. I just don't have the time for that, and sometimes I'm just too tired and lazy to do anything so I just use my wet wipes. But now I've started using this Glycolic Cleansing Fix and I've been loving it. I think my favourite part is the fact that it's a foaming cleanser, and I love when it foams up. The glycolic acid exfoliates and retextures your skin and the olive oil cleanses and purifies and leaves your skin really clean and soft. After that I go on to apply my Dragons Blood Fix Plumping Serum which is just amazing! It instantly plumps up your skin and makes it look healthier and just really fresh. I use this in the morning too, after I wash my face. I would really recommend for you to try these products guys, especially if you're looking for a new skin care brand to try. I really need to take better care of my skin and I'm happy to be using Nip & Fab for that.